As part of the Diamond Jubilee Celebrations, eleven of Britain’s most renowned film composers have created a new work using for inspiration the original titles of Handel’s Water Music. This new suite of music will be performed live for the first time as part of The Thames Pageant, the historic event celebrating her Majesty’s Diamond Jubilee is anticipated to have a worldwide audience in excess of one billion people. On July 17th 1717 George Frideric Handel premiered his composition Water Music after King George I requested a concert to be performed on the River Thames. Close to 300 years later this major musical milestone will be emulated on London’s famous waterway. 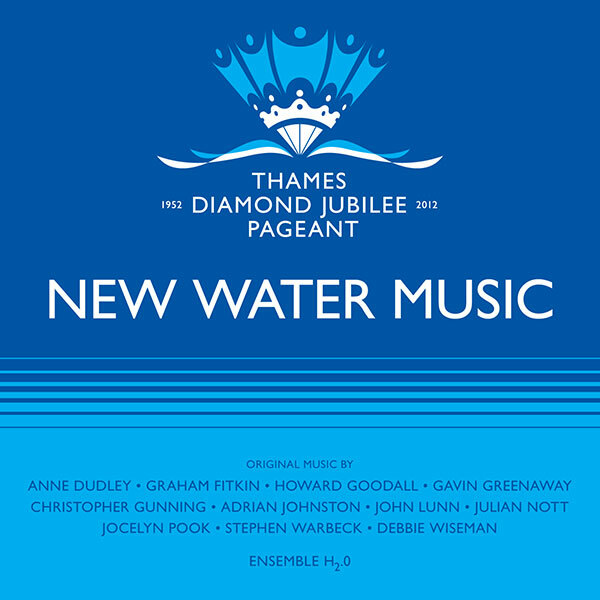 The New Water Music draws on Handel’s original titles with eleven leading contemporary British composers contributing a newly written five minute movement each. The work will be performed for the first time on a barge which will be part of a 1000 boat flotilla celebrating the Queen’s Diamond Jubilee. The composers include Anne Dudley (Oscar winner for The Full Monty), Stephen Warbeck (Oscar winner for Shakespeare In Love), Christopher Gunning (Poirot), Debbie Wiseman (Wilde) Julian Nott (Wallace & Gromit).